Modern two bedroom unit located just across the causeway from the fabulous new Whangamata Marina. A short stroll to Moana Point Reserve, 10 minute walk to town or 5 minute drive to the popular surf beach. The unit features an open plan kitchen, dining and lounge area which opens out onto a shade sail covered BBQ area. Just bring your own linen i.e sheets pillow cases towels bath mat and tea towel. Main bedroom has queen size bed and second bedroom has a single bed and a set of bunks. Parking for two vehicles, unfortunately not suitable for a boat trailer. Perfect for short stay accommodation. 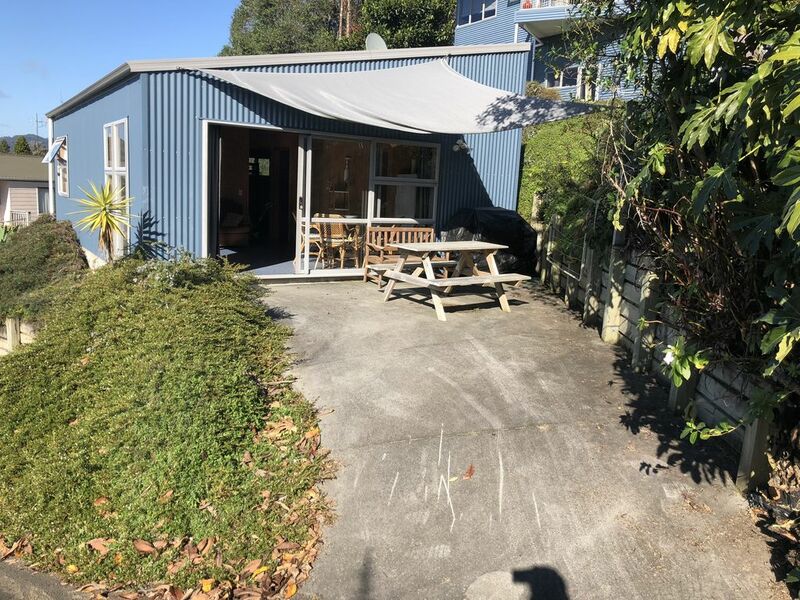 Clean, comfortable and everything needed on a small scale for a weekend break at Whangamata. Close to park/inner harbour, with good walks for the dog. A nice sunny place to stay. Lovely walks nearby. Some road noise, but this stopped at night. We spent our last 4 nights in NZ at The Boat house, before coming back to London. It was a great location for seeing different parts of the Coromandal. The Bach itself was clean and tidy and Lynda was very helpful during my booking process. Would stay there again if ever back that way!